All of her hard work and dedication throughout her high school career has definitely paid off. 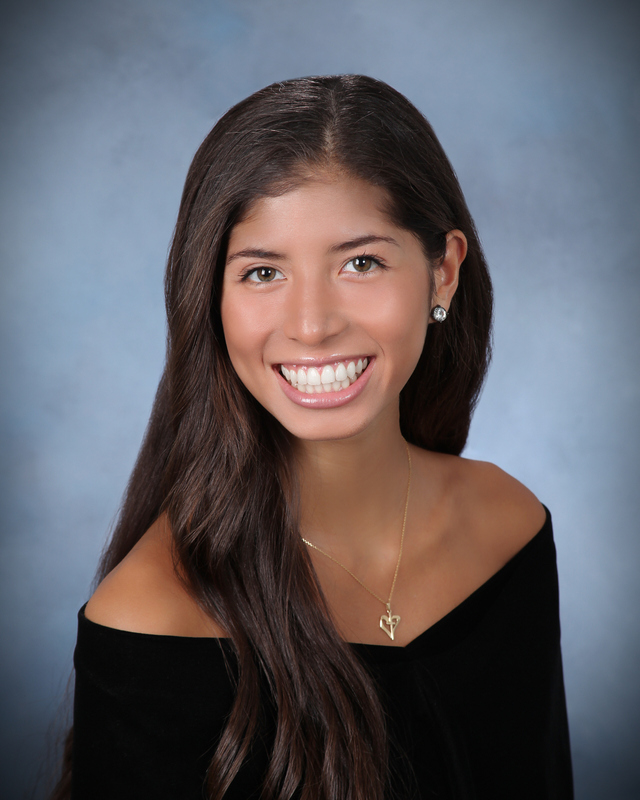 Valedictorian Melissa Mendizabal has been accepted to three Ivy League schools: Columbia, Cornell, and Yale. Melissa has taken all Honors and five APs throughout the course of her high school career. However, Melissa did not let her busy learning schedule prevent her from being an active individual in both her school and town. Melissa has stayed active in the IHA community since freshman year. She has been a star athlete running track and field, President of Science National Honor Society, and on the National Honor Society Executive Board as Tutor Coordinator. She is an editor for the ORB Literary Magazine and also served as a peer mentor. She has participated in both the Science and Math Leagues, is a member of the Go Green Environmental Club, and played a huge role in the TV Studio News Production. Melissa still finds time to serve her community by being a tutor and working as a cashier at her local grocery store. Melissa is an active member of C.A.R.E. and a camp counselor for Vacation Bible School. She volunteers at Camp Acorn, Several Sources Shelter, and also finds time to visit patients at Christian Adult Health Care Center. Melissa has achieved many awards as a student. She is a National Merit Commended Student and a member of the National Hispanic Scholar Recognition Program, National Honor Society, and St. Brigid Honor Society. She has achieved Distinguished Honors throughout her high school career and was a recipient of the Soaring Eagle Award for Spanish during her sophomore year. She is the Valedictorian of the Class of 2016 and has been honored with the ACCNJ Scholarship Award Program: Donald R. Waters Scholarship. When asked what she will miss most about IHA, Melissa’s answer is the people, with whom she has developed close-knit relationships. Her teachers have also had a huge impact on her life. “Many teachers have become great mentors for me and have truly helped put me on this path of success. And for that, I will be eternally grateful.” Melissa feels she could not have been molded into the individual she is today without the encouraging, community-based environment IHA has offered her for the past four years. After extremely careful deliberation, Melissa has decided to attend Yale this fall. She plans on studying chemical engineering, a decision largely impacted by her passion to stop global warming. She plans on using her talents to create ways to better use technology in a more energy-efficient manner. IHA is positive that Melissa will do great things and could not be any prouder of her hard work!